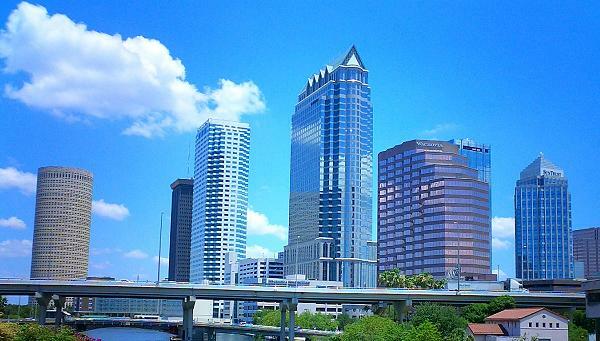 Tampa is a city on the West Coast of Florida. It is the largest city in the Tampa Bay area (the other two large cities in the area are Clearwater and St. Petersburg), and the third largest city in the state. As of 2005, its population within the city limits was estimated at 326,519, but around 2.7 million people lived in the Tampa-St. Petersburg-Clearwater metropolitan area, which is generally known as the "Tampa Bay Area", "Tampa Bay", or to locals, as simply the "Bay Area". The population of the area has, and continues to grow rapidly, with the urban area having grown by almost 15% between 2000 and 2006, and reaching a total of an estimated 4 million in April of 2007. The whole of the Tampa Bay Area is well-known for its beaches and nightlife, as well containing many excellent hotels, pools and golf courses, but there are also many tourist attractions in the area too, including a number that fall within the city of Tampa itself. Perhaps the best known educational institution in Tampa is the University of South Florida, which is a public university founded in 1956. Professional sports franchises in Tampa include the Florida State League baseball team, the Tampa Yankees, the ice hockey team, the Tampa Bay Lightning, and the NFL American football team, the Tampa Bay Buccaneers. The principal airport for Tampa is Tampa International Airport. Tampa's nicknames include "America's Next Greatest City","Cigar Capital of the World (Ybor City)", "Cigar City", "City of Champions", "Lightning Capital of the World", and "The Big Guava".